Le Havre is a major port town and entry point for ferries arriving in France from the UK, situated on the coast in Upper Normandy on the mouth of the River Seine. 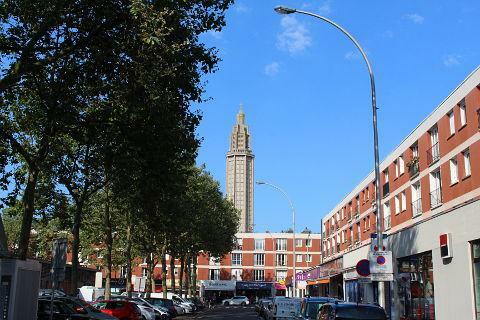 Le Havre was very badly damaged during World War II, and much of the city that we see today was as designed by the architect Auguste Perret in the post-war period. The modernist architecture in Le Havre is unlike any other town in France - and can appear rather 'brutal' to those who aren't enthusiasts of post-war architect. Nonetheless there are some fascinating and noteworthy buildings to admire and a visit is recommended. Note that the redevelopment of the city is so noteworthy that the city has now been designated a UNESCO World heritage site. 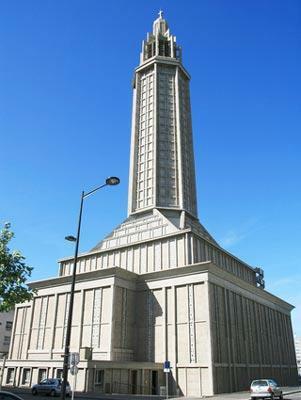 A visit to Le Havre will include some particular buildings that are important in understanding the work of Auguste Perret. Your route can start from the Church of Saint Joseph, a post-war building in which the octagonal tower, over 100 metres high, stands out in particular. The work was begun by Auguste Perret, but it was completed after his death by students linked to his school. 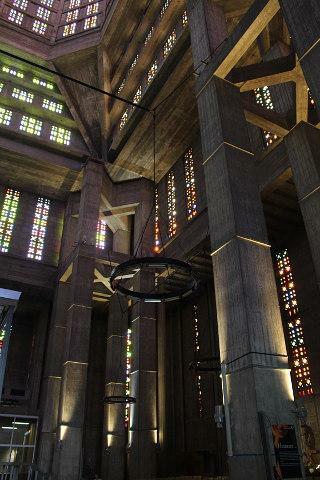 The stained glass windows, an outstanding work by Marguerite Huré, make the interior of the church an incredible space to visit and a highlight of your visit to Le Havre. 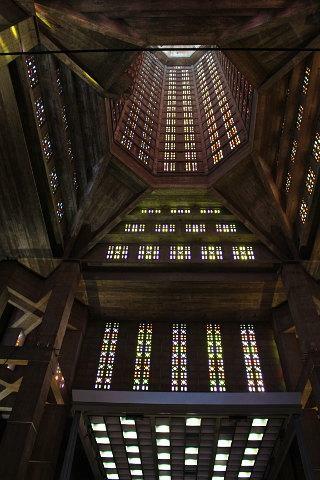 The impact of the tall tower from the inside with the colorful windows all the way up really is extraordinary. Another symbol of the modernization of the city is another building which makes a great visual impact, the so-called Volcan, designed by Brazilian architect Oscar Niemeyer in 1982. It has rightly been noted that the Volcano building is inspired by the School of Le Corbusier, for its forms and sinuous curves, and is striking for the whiteness of the painted cement. 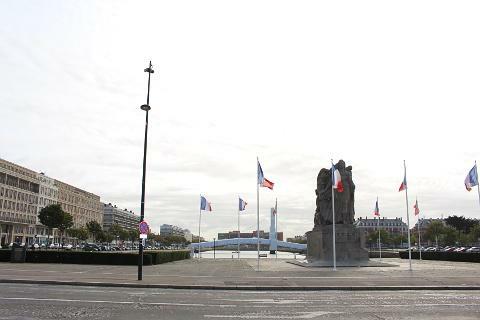 It is also now among the most prestigious cultural centres in France and Europe. Initially planned by André Malraux as the 'House of Culture', today the 'Volcan' is a place for theatre, film and musical performances. 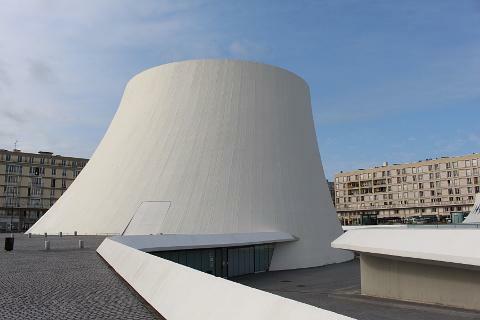 Undoubtedly the central point for art in Le Havre is the famous André-Malraux Museum of Modern Art (another modern building but in glass rather than concrete). Known throughout Europe for its collection of Impressionist painters, there is actually much else to enjoy in the museum, including some artefacts in ivory and precious ceramics from Rouen and Normandy. The Museum highlight is undoubtedly the collection of Impressionist painters, enriched by donations over the course of time and including outstanding works of Monet (1840-1926), undisputed master of the movement (living from 1883 at Giverny, where you can visit his house). In the Museum you can admire the beautiful 'Water Lilies' by Monet. The Museum also displays other collections of Impressionist landscape art, in particular many works of Eugene Bodin (1824-1898), for example the 'Deux chevaux à l'écurie', 'Dame en blanc sur la plage de Trouville', 'Paysage au bord de l'eau', 'Environs de Plougaste' and many others. Also very nice is the painting by L.A. Dubourg, 'La Jetée d'Honfleur' (1825-1891). 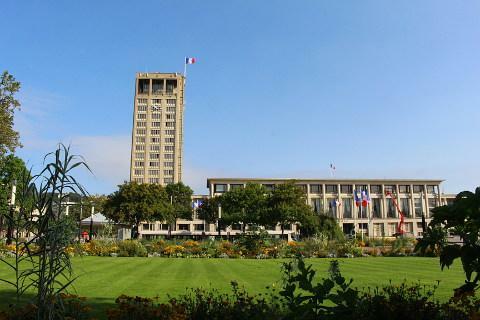 Among the other sites that attract visitors to Le Havre are the square next to the Town Hall - another building by Auguste Perret, a long concrete building with a tall tower, but the effect is softened by the plants and fountains in the square - and the Cathedral Notre-Dame, which has been extensively restored. 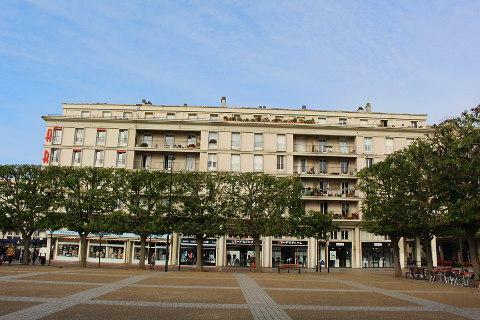 To learn more about historic Le Havre you can visit the 'Museum of Old Le Havre' (Musee de l'Ancien Havre). 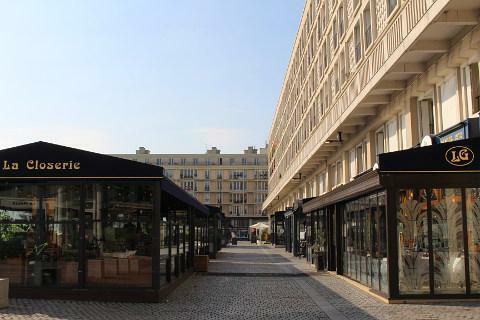 Although nobody would probably choose Le Havre as their holiday resort, the beach also continues to attract visitors: Le Havre was firmly established as a resort in the early 20th century with the establishment of baths and a broad promenade frequented by Parisian tourists. On the other side of the estuary are two of our favourite coastal towns along this section of the coast; Honfleur and Deauville . 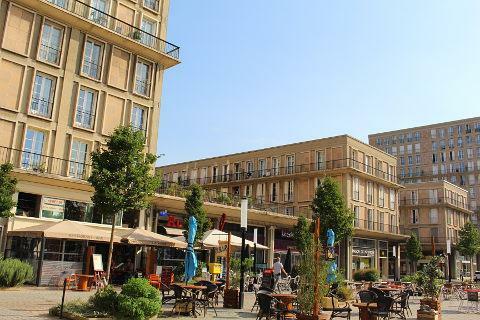 Honfleur has a charming harbour and Deauville is an upmarket seaside resort with lots of wonderful 19th century half-timber villas and an annual film festival.